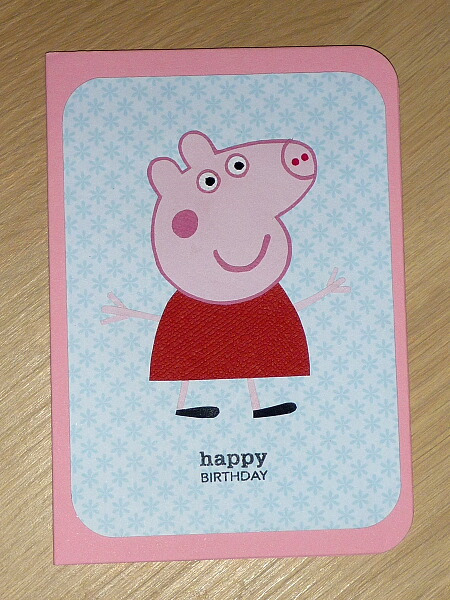 Gorgeous card inspired by Peppa Pig which has been all hand cut and created with paper and card! This will certainly make any girl very happy on her Birthday! Card measures approx. 15cm x 10cm and comes with matching pink envelope and sealed in cello bag.